Disclaimer: Supplement needs vary on an individual basis. Each "person's" unique lifestyle, diet, prescription medications, stresses, genetic predispositions as well as medical conditions must be taken into account when using/recommending supplements. Although there are some supplements that have been promoted as healthful for everyone such as, omega 3 fish oils, Vitamin D and Probiotics, even those can interact with medications and be inappropriate with certain medical conditions. It is always important to discuss any supplements that you may be taking with your physician to be sure that they are right for you. As a patient at the Center for Holistic Medicine, you are eligible for discounts from many of our supplement stores. Some of these include discounts of up to 15- 20% off, with free shipping. If you are a current patient and do not have the codes, please call our office so that we can provide you with the necessary information. Can I get all of the vitamins and minerals that I need through my diet alone? Why should I consider taking a dietary supplement? How do I know what nutrients I need? Are there any alternatives to Dr. Kathy's recommended supplements? From a medical perspective the Dietary Supplement the Health and Education act of 1994 defines a supplement as a product that is intended to supplement the diet. A supplement can include a vitamin, mineral, herb or other botanical, amino acid, or a substance historically used by humans as a dietary supplement. Supplements are intended for ingestion, are not considered a meal replacement and also must be labeled as a "dietary supplement". Individuals on typical Western diets can be characterized as overfed and undernourished. Soft drinks and sweetened beverages are a source of added sugars leading to weight gain and decreased intake of essential nutrients1. Examples of this include; the food consumption survey in 1977 which found that the majority of Americans consume less than the RDA for calcium, especially adult women. Average magnesium intake was below the RDA for all age and gender groups except children less than age 5. The USDA has suggested that 68% of Americans eat less than the RDA for Magnesium. Beyond daily allowances, agricultural practices can also get in the way of adequate nutrition, with over-farming, soils are being depleted of vital minerals. Fruits and vegetables, therefore, contain less of these essential nutrients that they once contained2. Between 1950 and 1999 the USDA published a report stating that 43 foods, mostly vegetables, had significant decreases in protein, Calcium, Phosphorus, Iron, Riboflavin and Vitamin C content4. Current food storage, extraction and shipment techniques can also impact nutrient value. Beasley reports that 78% of vitamin C content is lost from potatoes kept in long term storage at 36 degrees; lettuce refrigerated immediately after picking loses 50% of its vitamin C content in 3 days alone; asparagus and broccoli lose 50% of their vitamin C and folic acid at room temperature in 3 days5. Many food sources, especially grains have been milled, bleached and refined in ways that strips them of their vitamins. Grains can lose between 50-80% of their B1, B3, B5, B6, Folate and Vitamin C, in addition to calcium, magnesium, potassium, zinc, manganese, iron, copper, chromium, and selenium6. Other lifestyle issues such as stress management can impact nutritional demands. Stress is believed by many to be more prevalent in our modern western society. Stress has been shown to reduce body stores of magnesium, potassium and may reduce zinc and selenium as well. Demand for vitamin C and vitamin E also increases significantly during stressful times7. Finally, there is an increased need for antioxidants to neutralize the detrimental effects of pollution and other environmental toxins that have increased in recent times9. Ravaglia G et al. Am J Clin Nutr 2000; 71:121. Beasley JD, et al. The impact of nutrition, environment and lifestyle on the health of Americans. The institute of health policy and practice Bard College Center. Annandale-on Hudson, New York; 1989. Brody s Et al A randomized controlled trial of high dose ascorbic acid for reduction of blood pressure, cortisol and subjective responses to psychological stress. Psychopharmacology 2002; 159:319-324. Wang Q et al. Effects of vitamin E on plasma lipid status and oxidative stress in Chinese women with metabolic syndrome. Int J Vitam Nutr Res. 2010 Jun;80(3):178-87. Menzel, DB, Nutritional needs in environmental intoxication: vitamin E and air pollution, an example. Environ Health Perspect, 1979 April 29:105-114. 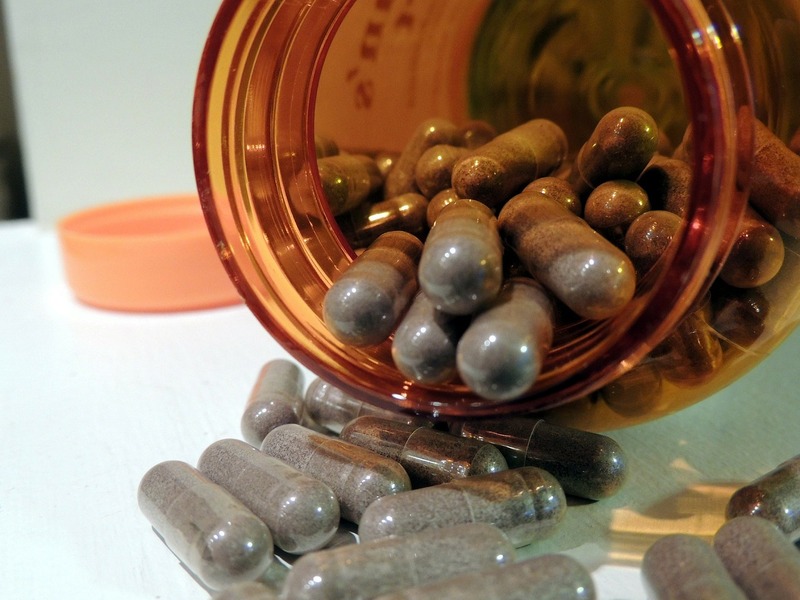 Why should I consider taking supplements? Certain medical conditions are known to be caused by nutritional deficiencies. Some well known deficiency diseases include; Scurvy a collagen synthesis disorder from vitamin C deficiency, Pellagra a Niacin(B3) deficiency causing diarrhea, dermatitis and dementia, and Beriberi causing heart failure or neurologic abnormalities from Thiamine(B1) deficiency. As medicine continues to advance, and newer lab technologies are being developed, we are discovering that the body's ability to access nutrients, store them, use them or convert them into functioning cofactors/enzymes or proteins, varies from person to person. This implies that we are unique in our needs for dietary nutrients. In other cases, individuals afflicted with different medical conditions can be low in specific nutrients. For example, individuals with Celiac Disease have decreased ability to absorb many vitamins and are often low in B12 and Vitamin D. Vitamin D deficiency is also associated with other auto immune diseases including Multiple Sclerosis4. These are just a few examples, but the list is quite long. By supplementing with the missing or depleted nutrients, we are finding that people are feeling and functioning better. We are not suggesting that a supplement will remove all symptoms or cure a disease, but it can help your body function and help you on the path to recovery from many chronic conditions. Deichmann R, et al. "Coenzyme Q10 and Statin-Induced Mitochondrial Dysfunction" Ochsner J. 2010 Spring; 10(1): 16?21. Ponsonby AL et al, "UVR, vitamin D and three autoimmune diseases--multiple sclerosis, type 1 diabetes, rheumatoid arthritis." Photochem Photobiol.2005 Nov-Dec;81(6):1267-75. As we have already mentioned, each person is unique and has different needs. At The Center for Holistic Medicine, in addition to a standard medical exam, we use a screening nutritional exam. This includes close inspection of fingernails, skin, hair, tongue, gums, and eyes. We also closely review your symptoms, concerns and medical history in addition to any medications or supplements that you may be taking. Specialty or general medical lab testing may be recommended to evaluate you for specific nutrient deficiency/excess. This is especially helpful for individuals with chronic medical conditions that have not responded to multiple medical specialist treatments or interventions. Often, diet and nutrition can be a contributing factor for physical symptoms. Finally, supplements are selected to target symptoms, such as inability to initiate sleep, nasal congestion and allergies, constipation, dry skin etc. Where can I purchase supplements? You are under no obligation to purchase nutritional supplements at our clinic. the synergism among product components. have been taught/told that "Regardless of how inexpensive, the most expensive supplement is the one that does not contain the stated ingredients and or does not deliver the active ingredient to the body in a usable form." 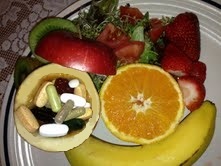 That said, when initiating an intervention use a good quality supplement and give it an honest trial (one where you know for sure the ingredients are present and there is no contamination) if beneficial, then we keep it, if not or it causes some side effects then we stop it and consider an alternative. Unfortunately, there is currently not much accountability with nutritional supplements at this time, and because of this it is very difficult to make good decisions regarding the many available products. Third party tested for purity and content (especially fish oil that can be contaminated with dioxins and PCBs in addition to heavy metals) and also look for products that are made using good manufacturing practices. Keep in mind when purchasing supplements or using pharmaceuticals that certain individuals may also be allergic to various preservatives, additives and fillers and many supplements may also contain dairy and gluten. Please bear with us as this web page is still under construction.